As the title says, this blog is about living – traveling, exploring and creating new exciting things. Here I believe you will have the most materials to check out. 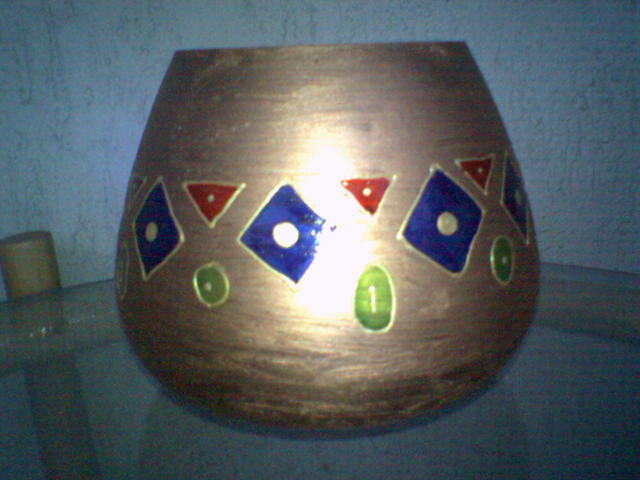 Lately I feel pretty inspired when it comes to crafting something out of nothing. 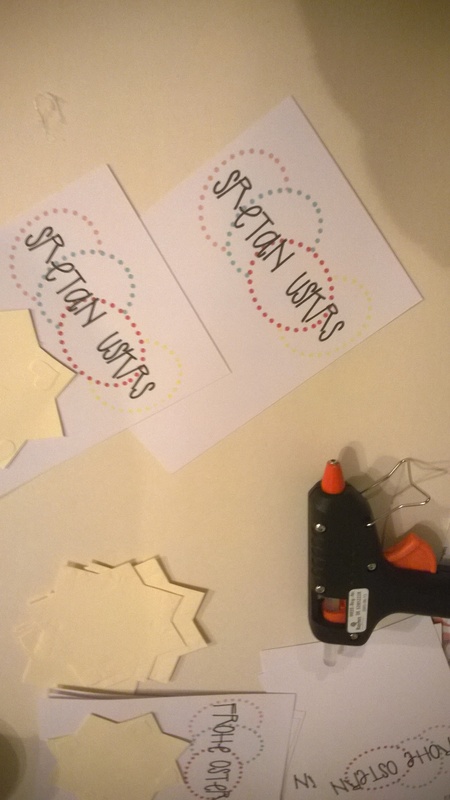 As already posted on the main site, lately I have been all about crafty stuff. The autumn cards with a bear, the winter socks and small baby booties were the main preoccupations on these cold fall evenings. 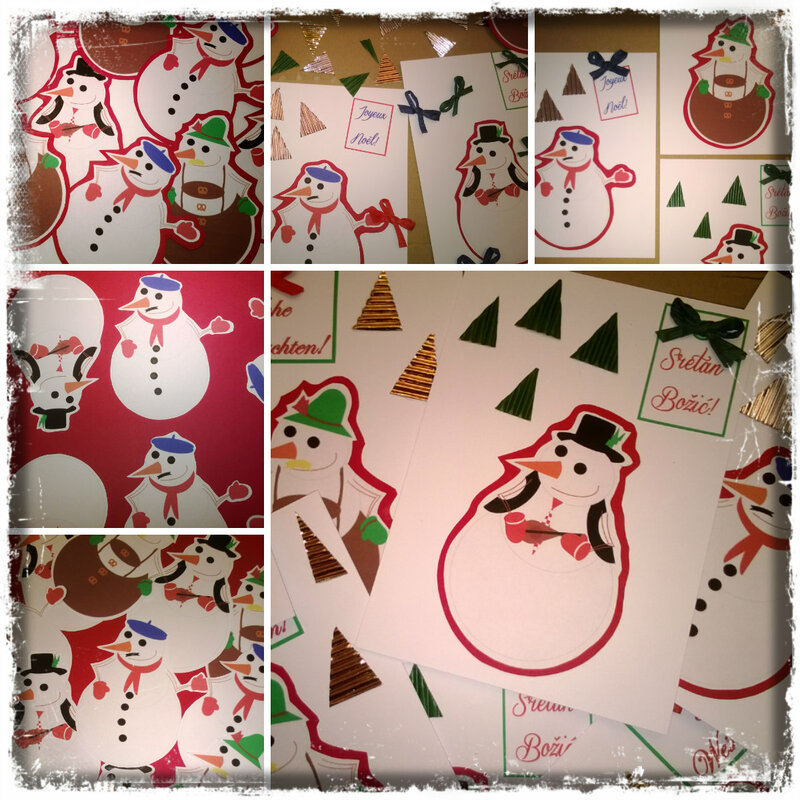 The cards were made with a simple card paper and of course pencils. 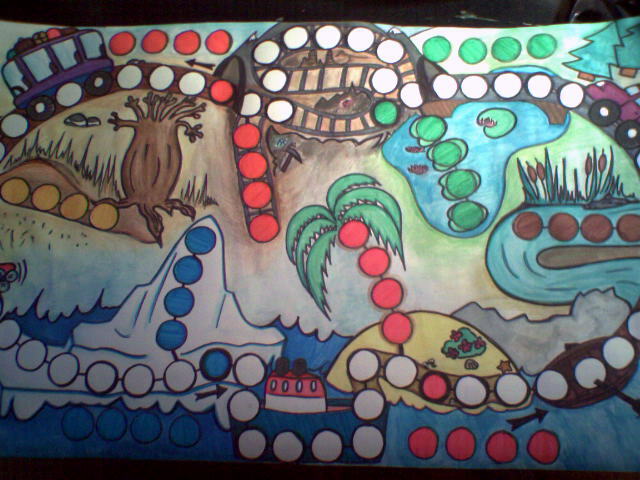 Later on the bear got colored and small message was added to the picture. On the top was a simple string bow and left of the picture I glued nice dried and well preserved leaves. 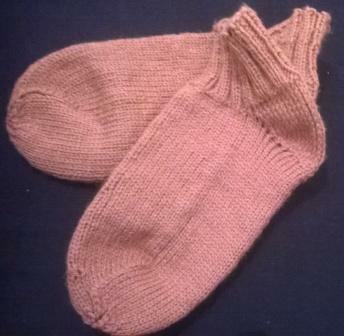 The socks were knitted with size 4 needles after a simple video on YouTube. 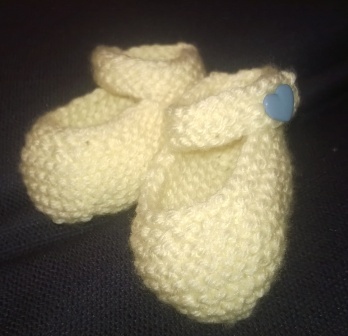 The booties were also knitted with the needles no. 4 but after a nice cute book with different creative ideas. 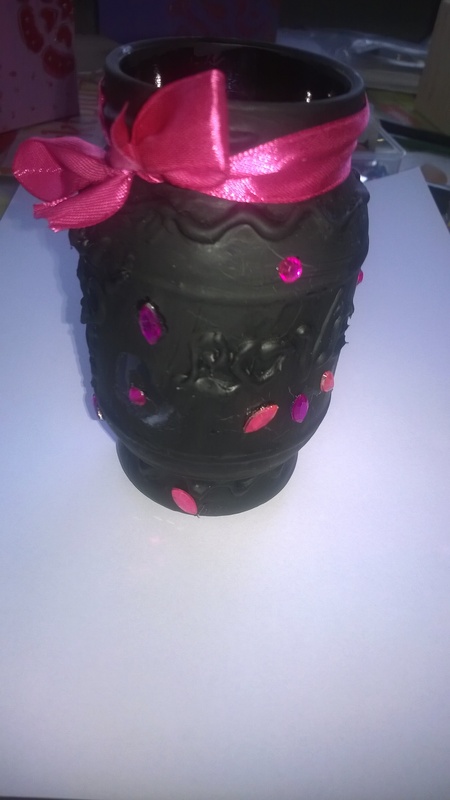 The latest project that I actually made some photo proof of were these cute boxes and a jar. In the process of moving some of my jars and pencil boxes got broken so as a first aid thing I decided to make my own. 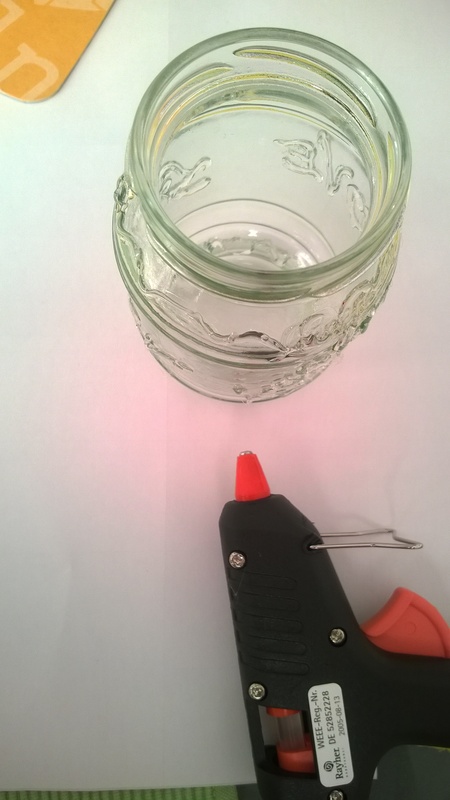 I found two small boxes and a glass jar. 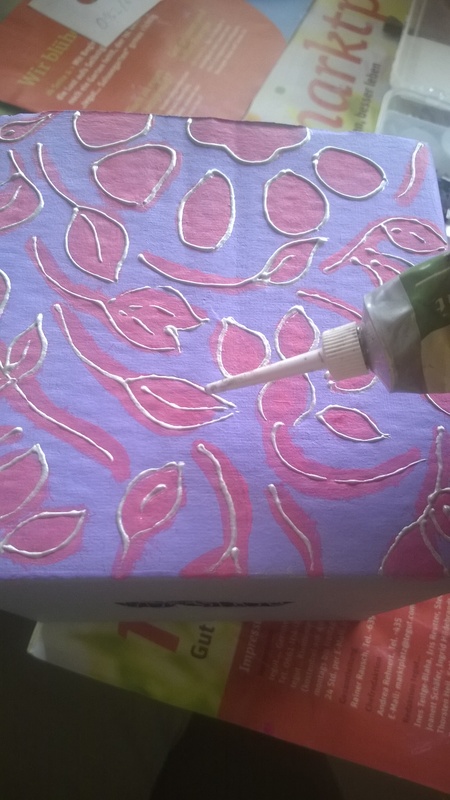 What i did first was I painted the paper boxes with just an ordinary acrylic paint. After the first layer dried I applied a pattern and went over it with a different color. 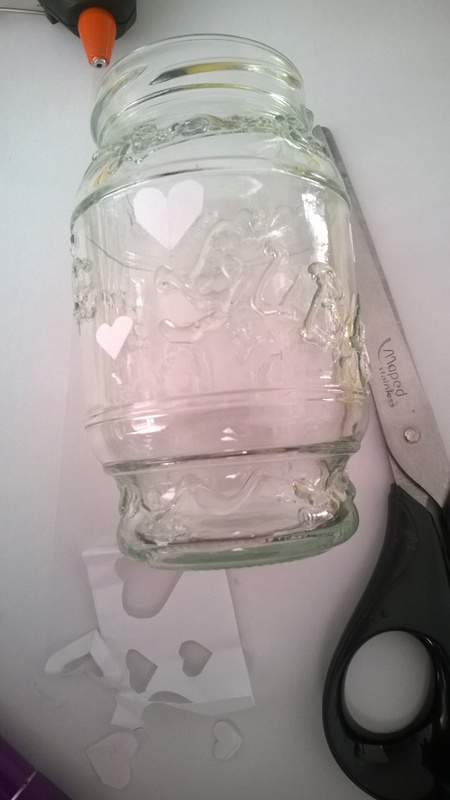 Next on the repertoire was the normal mustard glass jar. 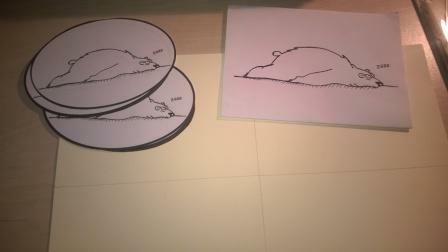 With the help of the glue gun I wrote some cute words and draw little shapes on the surface. 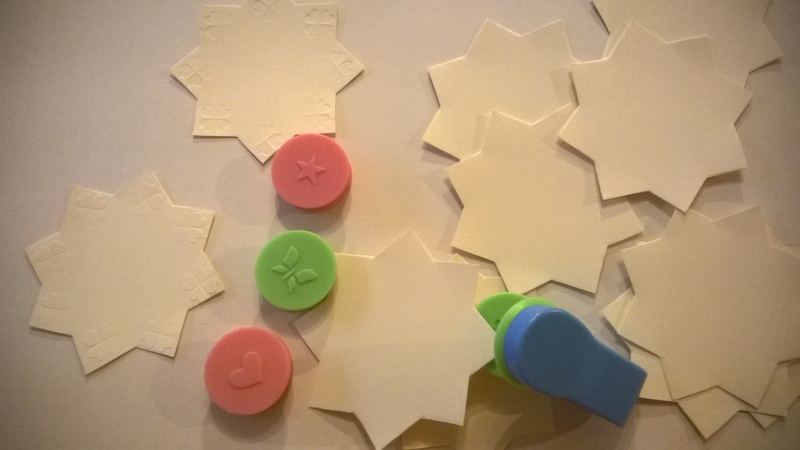 Next I glued little heart-shaped stickers in the leftover spaces between the glue patterns. Once everything dried I painted the whole jar with the blackboard paint. In the end I took off the heart stickers so there were small windows without the paint left (In the case I ever want to put a small candle in the middle). 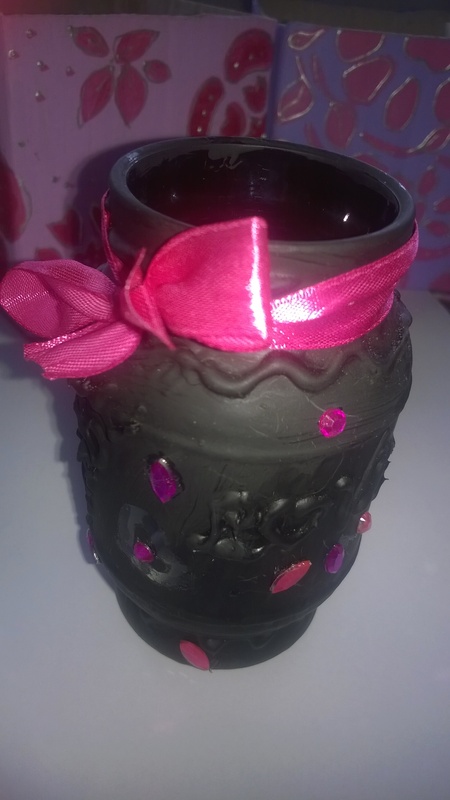 Afterwards I glued some fancy pink stones and added a bow. That is it! It was really easy to do and now my pencils have cute little place to rest. Finally here I come with something new. 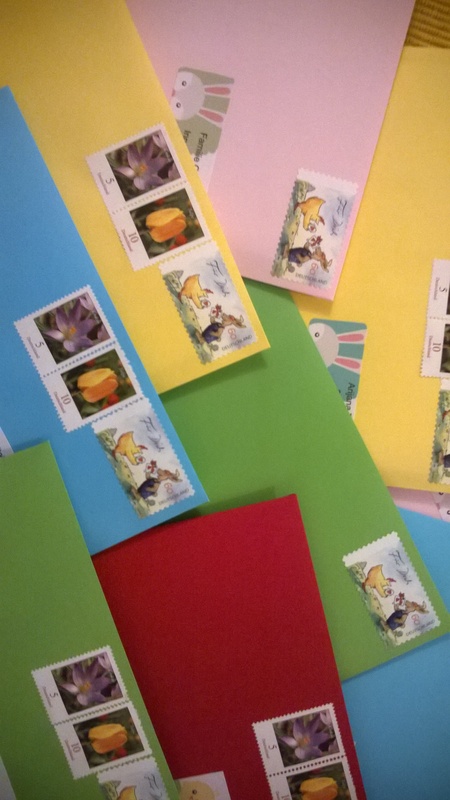 As the Easter approaches it is the time to make and send your Easter bunny mail to your friends and family. I sure did mine! 😉 The background of this year’s Easter cards you can read on the “home” page, here I will just describe how I did them. 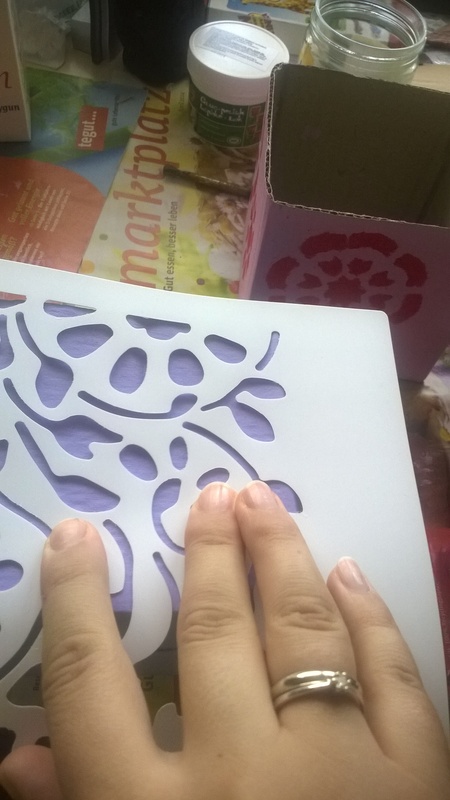 You will need: One ornamented thick A4 paper, 2 x A4 thick one-color paper (for 12 cards), simple empty card papers, printer, holes puncher, scissors, hot glue gun, some paper impression stamps, some ribbons, some patience and creativity but I am sure that won’t be a problem. 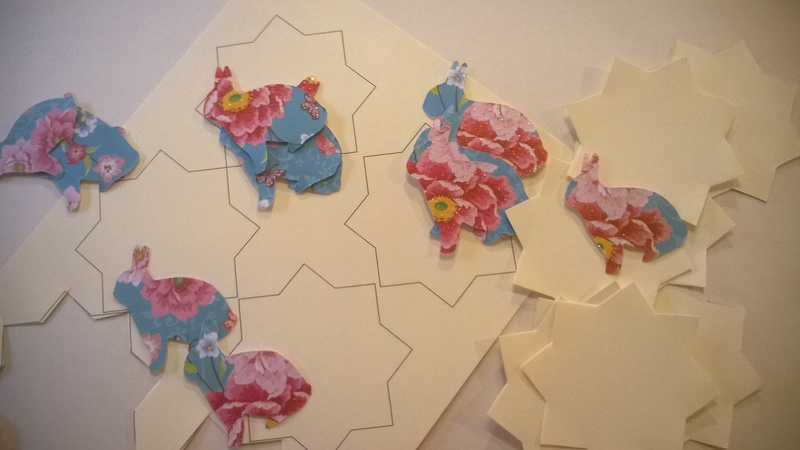 😉 I started by printing bunny silhouettes on the back side of an ornamented paper and by cutting them out. 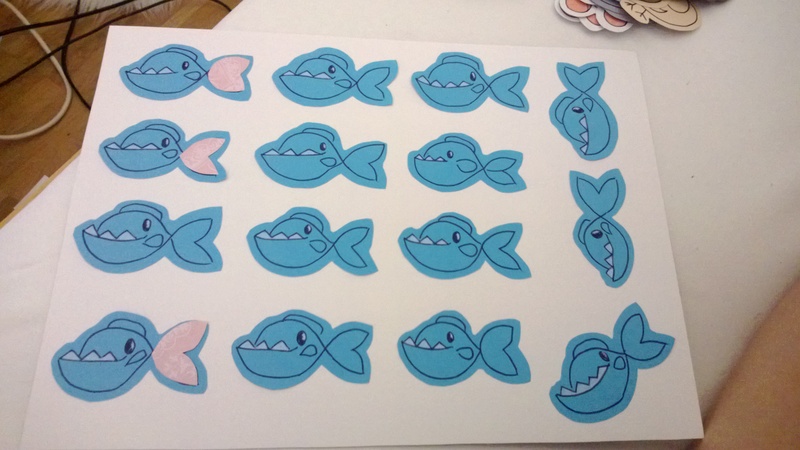 Second step was to print cute shapes on the back of the thick one-color paper and cut those out. 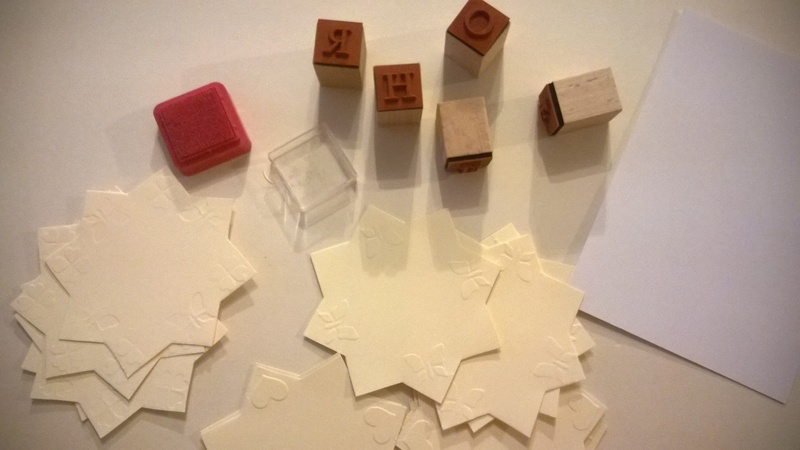 After the card shapes have been cut out I stamped them either with normal stamps or wit the impression stamps to give it a bit of a dimension. 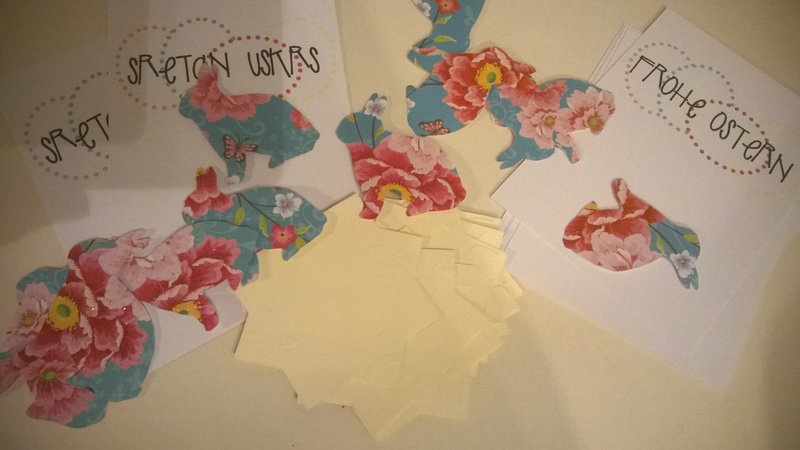 In the Word I made a simple but cute “Happy Easter” signs that I printed out on the front of the empty cards. To glue everything together I used a hot glue gun since it raises it all a bit above the surface of the card and to me looks cuter than with a normal paper glue. 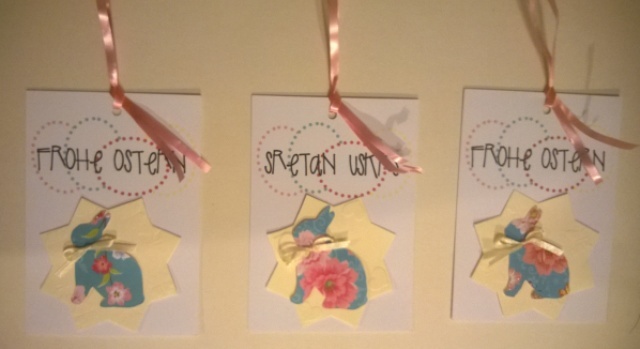 Once everything was glued together, I tied ribbons out of simple gift thread and glued them on the bunnies. I wanted two parts-cards with a front page and the other one to write on. 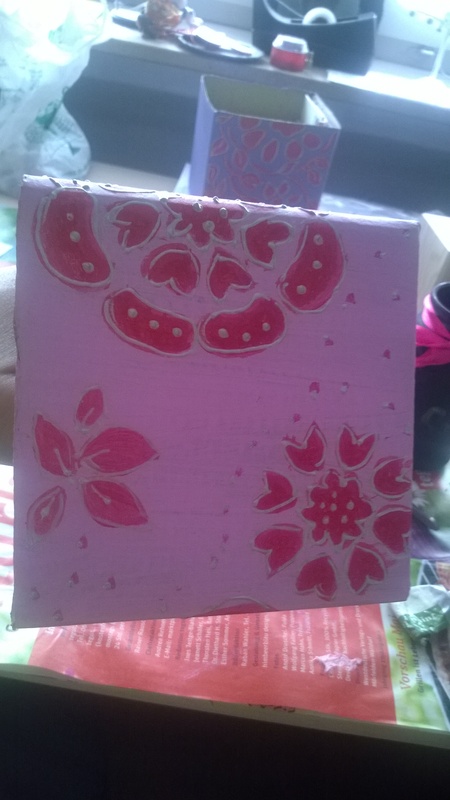 With a puncher I pierced holes through both cards (front and back) and tied them together with a pink ribbon. And that was it! First one were the lavender bags. In step to step this is how it went: 1. I made a paper pattern of what I wanted my lavender bags to look like. 2. 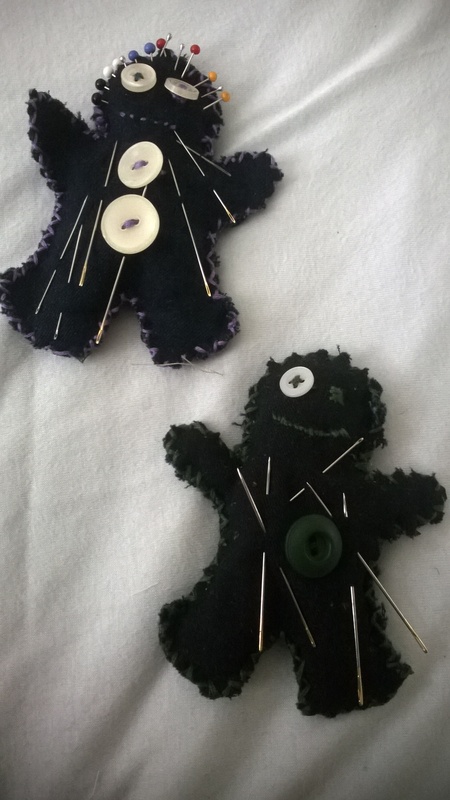 I copied them onto some fabric, which I than cut out. 3. The cut out material was sewn with the help of the sewing machine. Be careful to leave a hole at the top. 4. Through the hole dry lavender flowers were put into the bag. 5. Once the bag is full enough place a ribbon at the top and carefully sew the last open hole. 6. 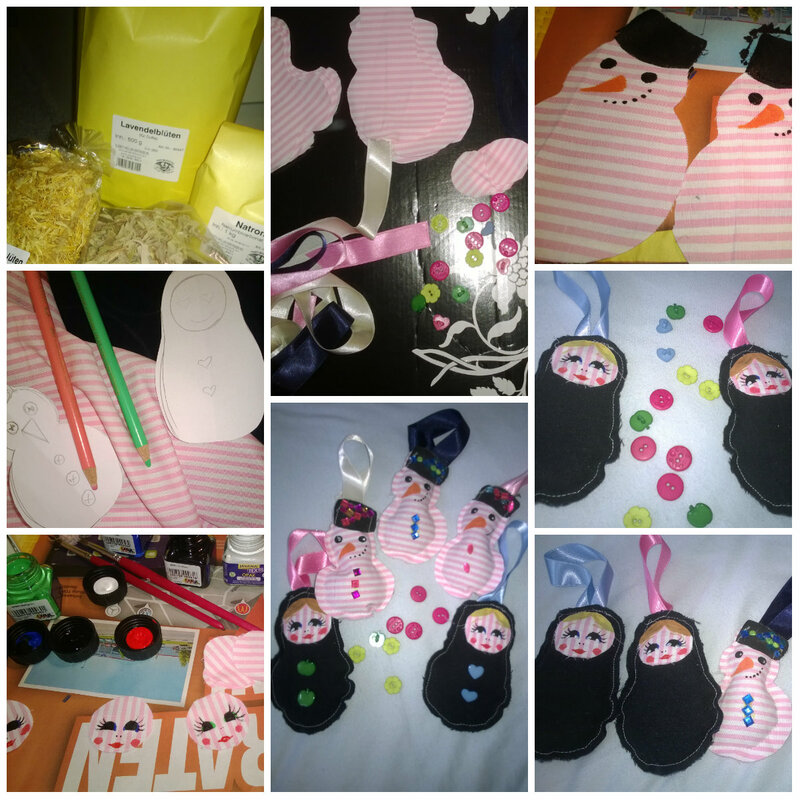 For dolls faces use some leftover material and draw their eyes, mouths, cheeks and hair or just paint snowman’s face. Feel free to get creative. 7. Glue those onto the bags, once they dry. 8. At the very end you can still sew couple of buttons or glue some of the sequins. That’s all folks! Here you have my first tries. Christmas craziness started in Germany this week, everything is decorated and shops are filled with people buying Christmas presents. This year I decided to be a bit different than many others and just make half of the gifts by myself. 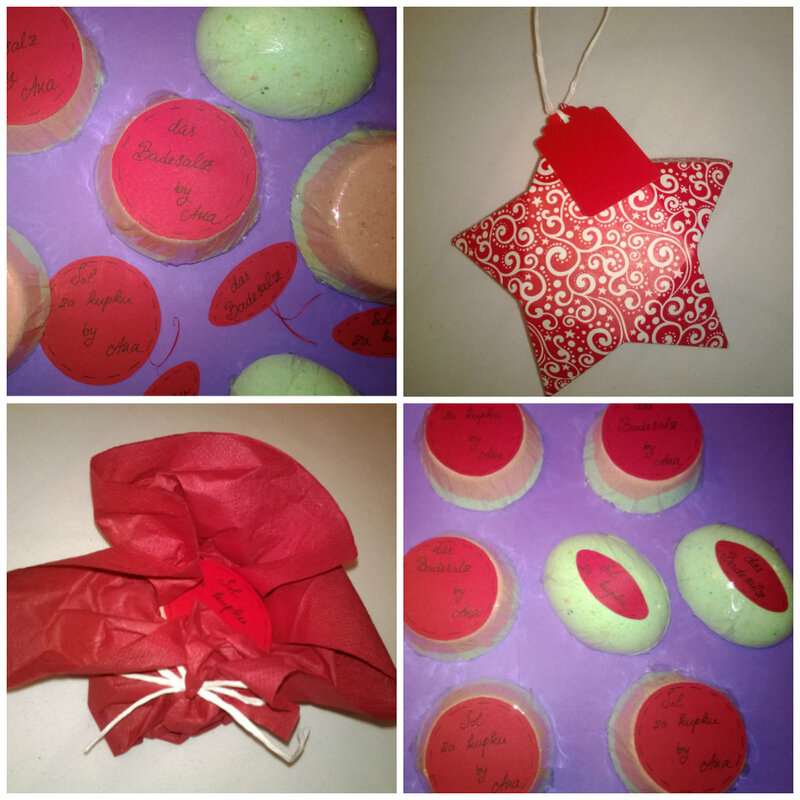 Since the bath bombs I made for our wedding were such a hit I decided to make them again, this time with a bit more “Christmas” fragrance and in red and green – the colors of Christmas. I packed them in cute star shaped paper boxes I bought. Aren’t they adorable? This summer I finally get to live my dream – to get married to the man I love. Since that lovely task came with a lot of obligations I decided that I will try to contribute to the organization of it by doing a lot of stuff alone. 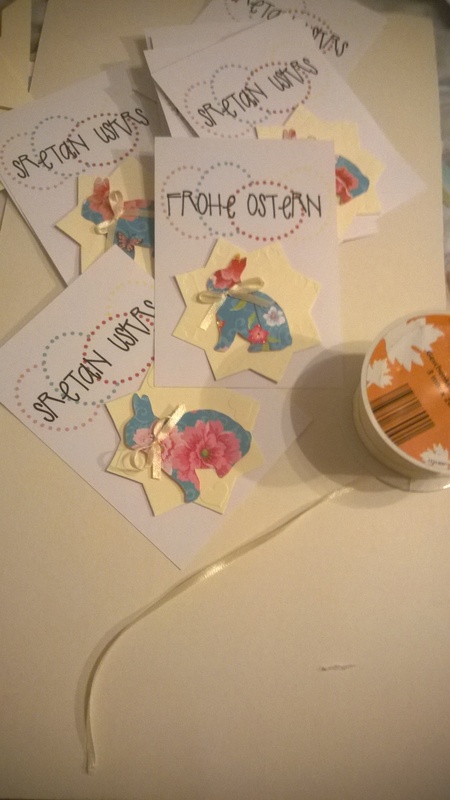 Here you have an example of the cute cards for bath bombs I made myself and lovely origami flowers for the tables. In the end we managed to finish all in time with a little help from good friends. The tables were absolutely adorable and our small goodies-bags for guests were a total hit. 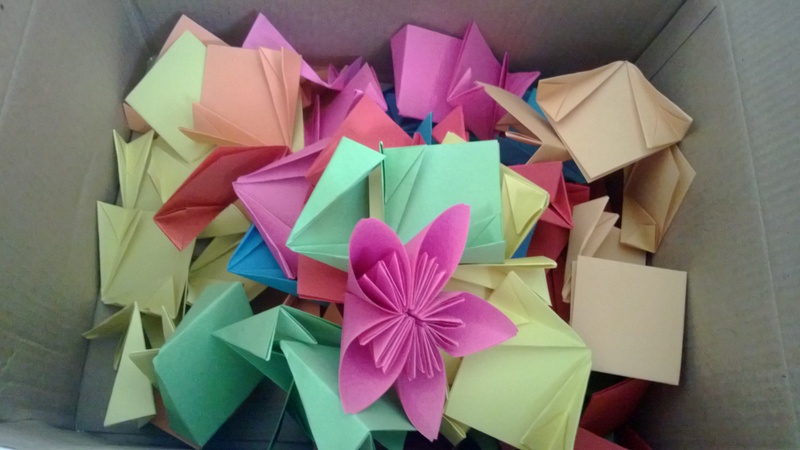 Our lovely packages contained: self made bath bombs with self made cards, a small paper bag with words of wisdom and filled with flower seeds , lolly-pops and paper with instructions how to fold the origami flowers. Those thing were to represent how love is: nurturing, beautiful, caring and sweet but also needs time and patience plus sometimes a little guidance from aside. For quite some time I had a small obsession with brooches so I decided to indulge myself and make some. 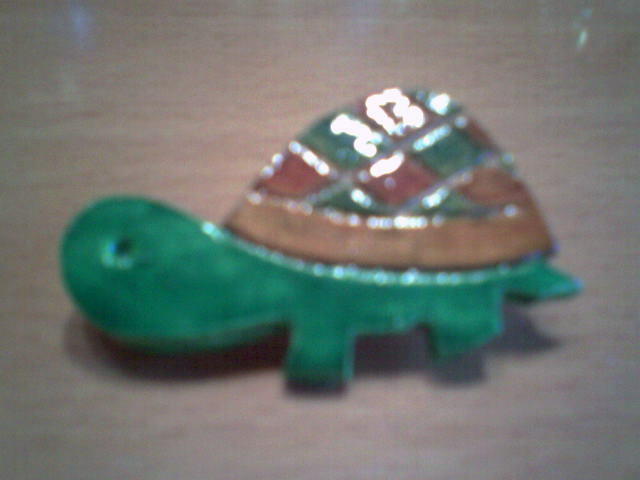 Here you can see my little turtle brooch that ended up in the hands of my awesome friend Archy. It is a bit blurry but I think you get the point. Hello everyone! My name is Ana. I absolutely love nature, arts, crafts and to travel. Professionally I am a biology teacher but this year's circumstances made me temporarily a housewife. 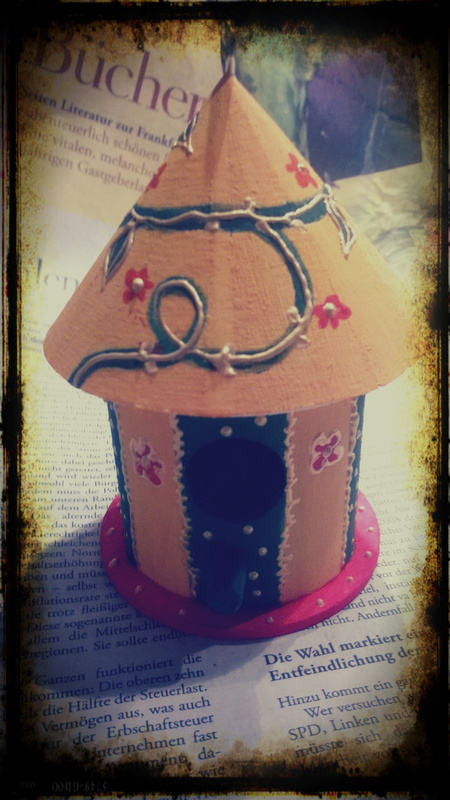 With a bit of too much time on my hands I discovered love for baking and small crafty projects. These are the things I will be mostly writing about and posting. I hope you'll have fun with my blog and that it will give you new ideas how to make your life just an itsy bitsy sweeter.